I remember the fears, uncertainties and doubts assuming many forms – customer meetings, manning the booth at tradeshow floor, customer conference calls, product demos and public speaking, and email composition. They all contributed in their own way to my early hardships, but let’s go back to email. From day one answering and writing emails was a significant part of my 8 hour work day. Having emerged from academia (I was a Berkeley PhD student in my previous life), I was woefully unprepared for dealing with the majority of emails that ended up in my corporate Inbox. Surely, I’ve written emails before, but the perceived stakes attached to business email seemed on an entirely different level than casual academic or technical exchanges with peers. There was always a sense in the back of your mind that a botched or incorrectly-worded email to a customer or a colleague had the power to cause untold damage to the business itself, and this realization was something entirely new and unpleasant. I was deathly scared of messing up, and the process of writing emails turned into the process of controlling and anticipating damages that could arise from things going awry. This was not what I would now call effective business communication. I brooded over every word and thought incessantly about how it could be interpreted by the recipient. Although I managed to keep most of my emails concise and to the point (I never had much interest in waxing poetic), they were still greatly overengineered and overdesigned for the task at hand. Moreover, writing emails with this much of painstaking care and attention took just too damn long. I bypassed some pretty treacherous terrain, and probably avoided a number of embarrassments for the company, but I also wasted an awful lot of time in the process. The fundamental challenge for me personally was in suspending the incessant checking and just letting the emails do the work they were supposed to do, namely to communicate information I wanted communicated. Email advice abounds on the Internet, so I was only mention here the things that really mattered and made a difference in my own experience. If you are a introvert or if you find yourself struggling with written business communications, here are some guiding wisdom that helped me establish rapport with my own inbox. 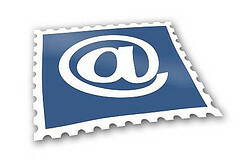 Email is a written artifact. The problem that I had was that I was acting out emails and responses, and I was doing it I was imagining email as spoken. And spoken language is just very different. Once you start heaping on the possible inflections of meaning, the intonation, and the pace of delivery, you start subjecting email to your own biases, which brings us to the next email no-no. Never project your own personality onto the reader. Once you do this, you have effectively started talking to yourself. Unconsciously talking to yourself to play out the conversation that might ensue is crazy. I did it, and this is one sure way for email writing to spiral out of control and become an obsession. Assume that reactions, at least at some level, will always remain unpredictable, and get comfortable with that fact. There is a fine line between being courteous and being friendly. You do not need to be friendly unless you are writing to a colleague who is also a friend. Offending someone was always a great fear of mine, but one thing that I learned to understand that as I writer I should not automatically assume personal responsibility for serving this information. Surely, the bad news would sometimes be the result of your own doing. The key in my view is to speak frankly and be firm. Apologize if necessary, but don’t get fixated on the bad. You’ll soon learn that most things have a way of working out despite of your fears to the contrary. Again, email will sometimes contain bad news. Just accept it as a fact of life. If you don’t much of your energy will be expended trying to sugarcoat the negative message to make it more palatable. In the end you risk obscuring the message so much that neither you nor the reader can tell where the bad news ends and the good news begins. Try to avoid this route, and just state things as clearly as possible. Recognize that the real reason for sugarcoating is to protect yourself, and not the reader. Phone call is an oft-forgotten option. While digging through your Inbox it’s easy to forget about the phone. As an introvert, I tried to stay as far away from the phone as I could, because I always so email as the medium where I was in control. I could control every word of the message, therefore I could control how the reader’s reaction would go. As I wrote more and more email, I realized that quick calls (or IM) could do a much better job at getting the information across. The fear of the phone will not let up easily, but do consider it an option. Don’t stray from the subject at hand. Once you stray from the original subject you are faced with the challenge of reconciling several topics. Which one should take precedence? Which one should be mentioned first and how to draw attention to the second? If you are a compulsive checker like I was, this would just prolong your pain. Start with conclusion. The greatest trick the devil ever played was convincing the world he didn’t exist. The greatest trick in writing email is that importance of points, claims or messages contained therein should be inversely proportional to the line number. Further down means less important. Most people don’t read emails, they skim them. If the important things are not well-placed in the beginning, skimming speed has a tendency to accelerate. Learn the personal styles. The opposite of imbuing the reader with your personality traits is not imbuing the reader with any traits at all. This means that you are completely ignoring personal differences between people, and would be equivalent to using the same tone, style and delivery with your mom and your manager. It’s not something I’ve done to that degree but finally recognizing cultural and philosophical difference between two managers has been invaluable. Applying this recognition to tailor my writing style – doubly so. Watch a thread’s pace as much as its content. How fast and how much people are reacting is usually a good indication of how lively and heated things are. I used to get that fire in my eyes and jump into the fray at the first opportunity, but this usually benefits no one – your message gets lost in the hubbub, you piss someone off, or someone gets on your nerves. It’s better to let things cool down before you respond, and if you do respond make sure your response actually contributes something meaningful. Don’t just check in for the sake of checking in. Show passion, not teeth. Passion has become a kind of buzzword lately, but it stands for a sound work ethic, an infectious dedication, and a special sort of care for what you do and how you do it. Passion is great, and it’s an absolute must to let it shine through in your emails. Go the extra mile, and explain the bits. Sound confident and be confident, and you are guaranteed to draw the right kind of attention to yourself. You won’t feel the effect of this for a lot time, but you will know right away once you do.